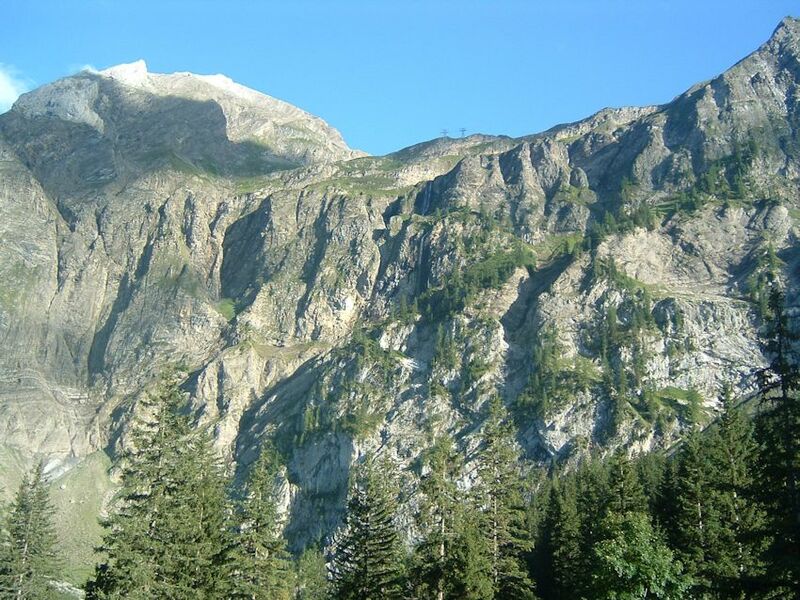 The Rawilpass is an excellent bleak place, providing a passage between Zweisimmen and Lenk on the north side of the Swiss Alps and Sion and Sierre in the valley of the Rhône. 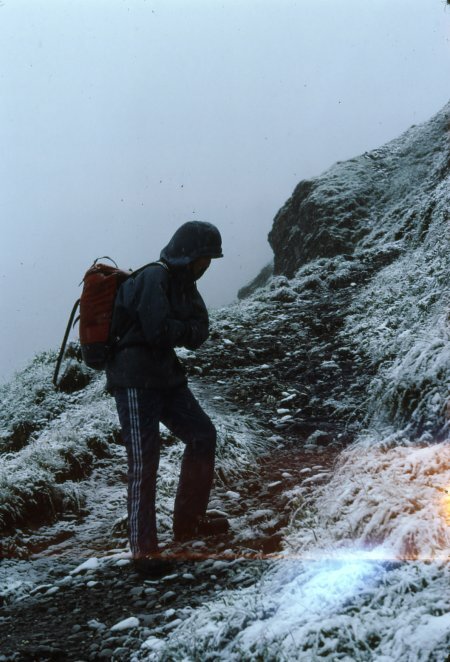 In fine weather, the hike can be done in a day or nearly so, but when the weather turns surly, anything can happen. 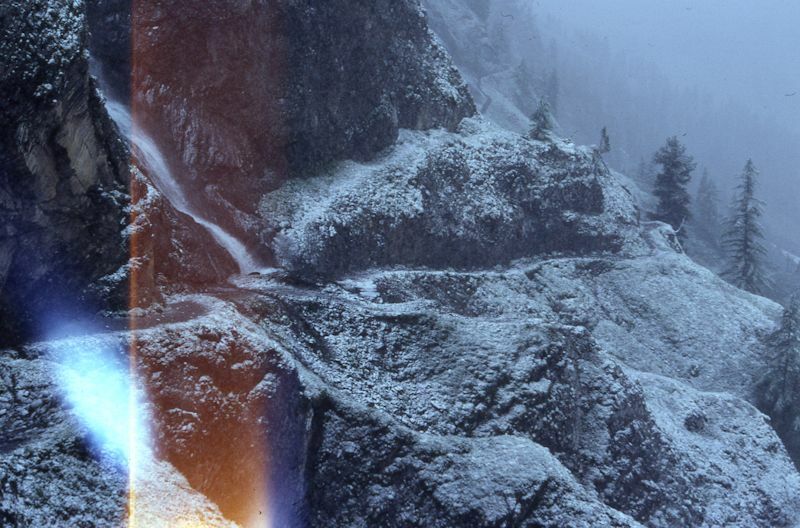 On a reconnaissance mission in April 1981, two residents of Les Avants, Switzerland, traveled by rail to Lenk and commenced the long walk up towards Iffigenalp, the staging area in front of the 400-meter Rawil wall. (A bus makes the run to Iffigenalp in summer). 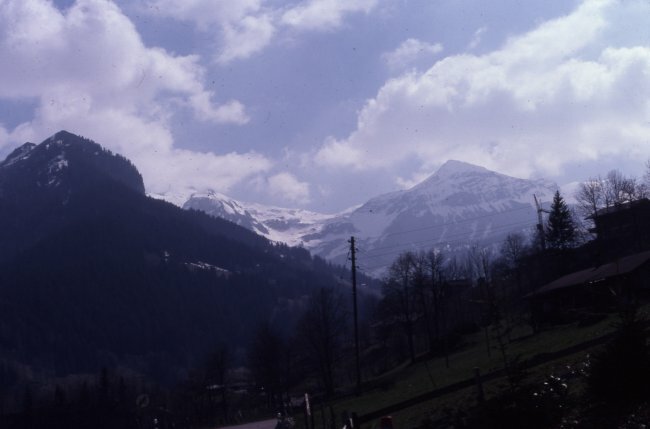 Seen from the approach road from Lenk, the top part above the Rawil wall, up to the pass, shines dead center, with the Mittaghorn in right center and the Rothorn left center. The Wildstrubel is farther off the left, with the Glacier de la Plaine Morte between. 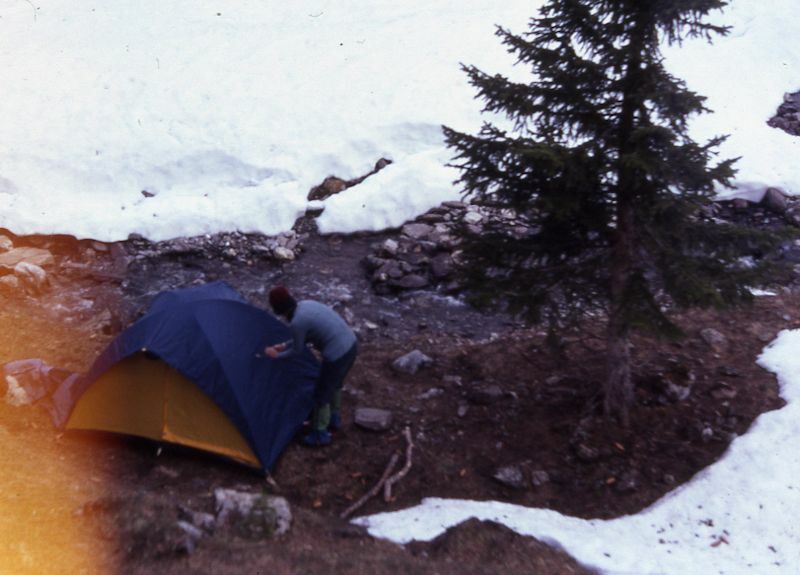 Setting up camp, April 1981, in the Iffigenalp valley at about 1650m, half a kilometre farther on from the summer trailhead, preparing to scope out the Rawil wall. Hiking companion Jane tying the tent up securely, just in case. 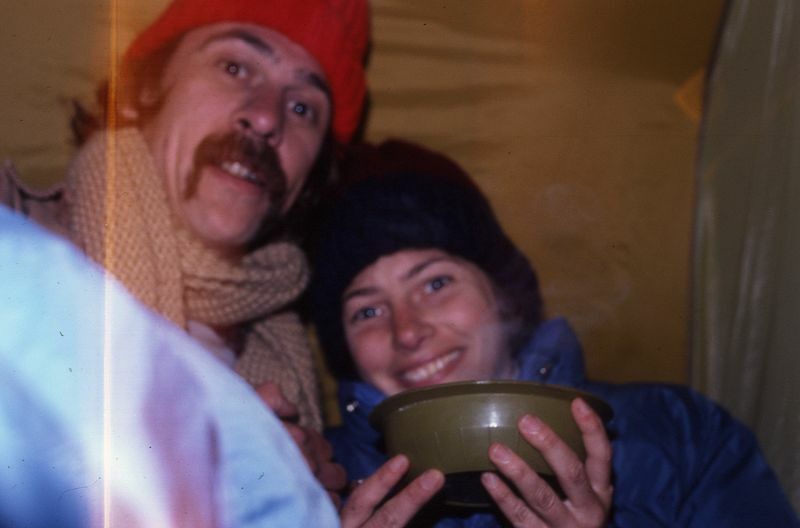 A chilly creekside evening in the Iffigenalp, 18 April 1981. 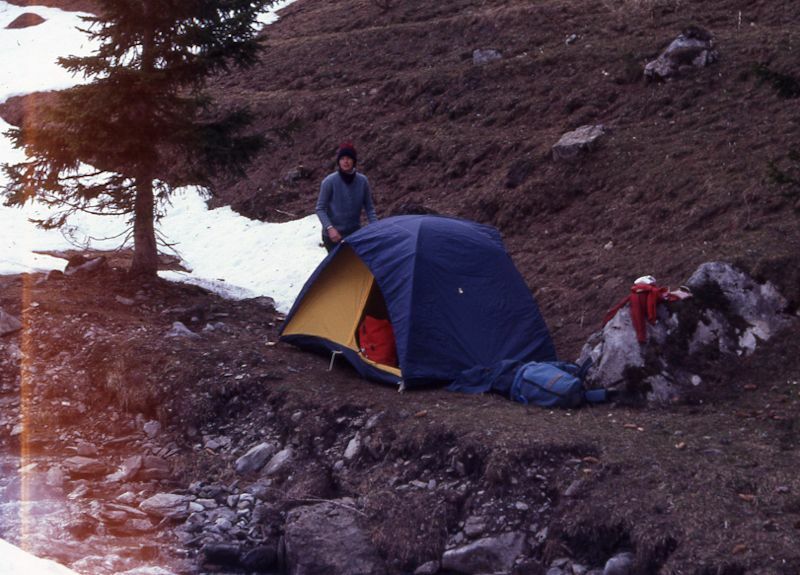 Rawil scouts in the Iffigenalp: the next day they went up towards the Iffigensee, under the Wildhorn, instead, but vowed to return when the Rawil wall clears off of ice. 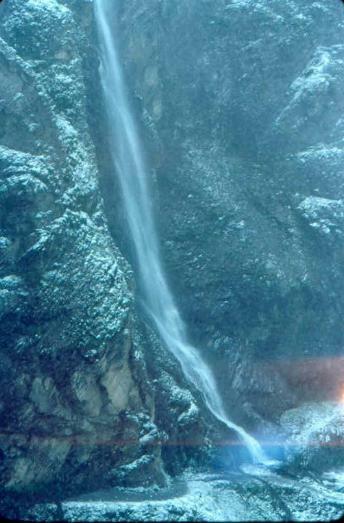 Back for the Rawilpass on 18 July 1981, the hikers from Les Avants passed neat waterfalls and wished the rain would let up and then watched it turn to snow as they got higher. 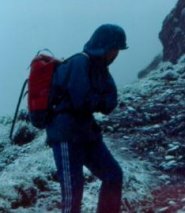 Rain turning to snow and the wind picking up, 18 July 1981, whilst trudging up the track across the Rawil wall. 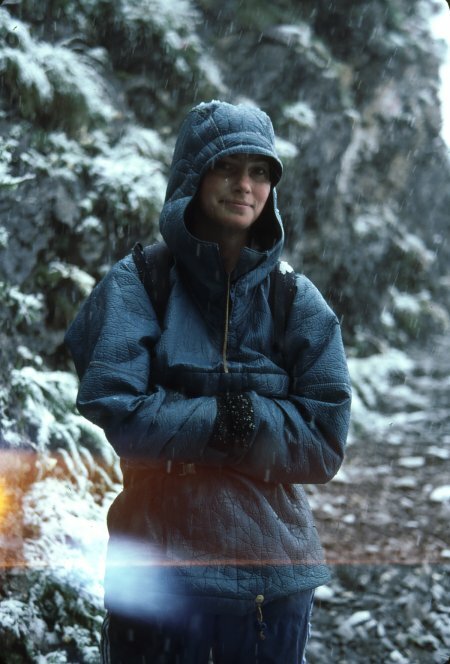 Hiking companion Jane reassures the more timorous members of the party, as the storm begins to get really annoying. 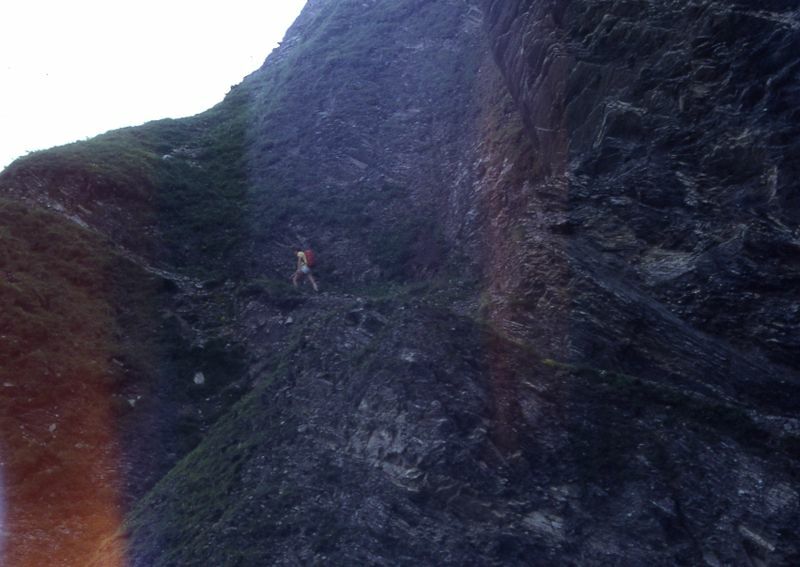 Leaving the top of the Rawil wall, the hikers passed the Blattihütte, a stone shepherds' hut at the top of the wall at 2029m, and continued in very declining conditions to about 2340m at which time, pretty lost in the storm and tracks filling up with snow, they descended again to 2280m and failed to set up the tent in the wind and descended further to the Blattihütte for a chilly bivouac. 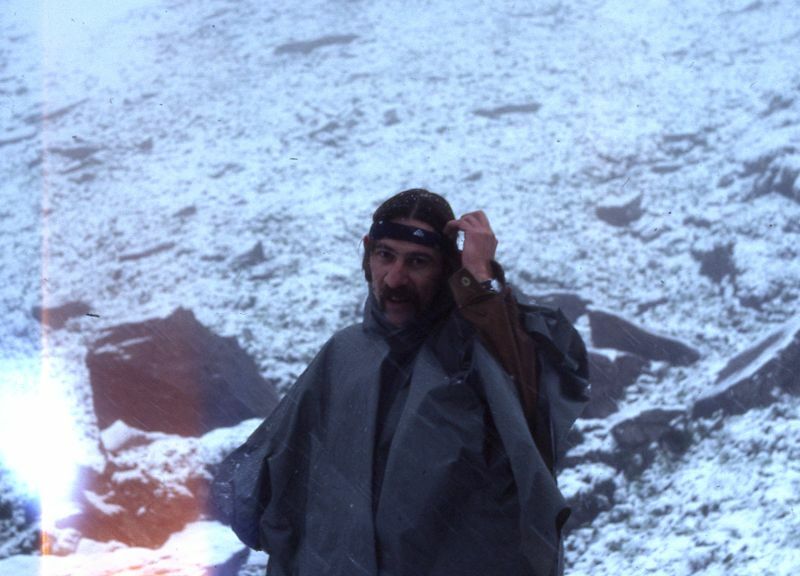 Prepared to wait out the night on the stone floor of the Blattihütte, the sad hikers jammed the door closed and settled down, only to awake in the morning (19 July 1981) to a continuing storm and thigh-deep snow and the possibility of remaining for many days in the Blattihütte with only a packet of noodles and half a cervelas left in the food bag, with just a bit of chocolate from the previous summer that no one would touch with a long stick. 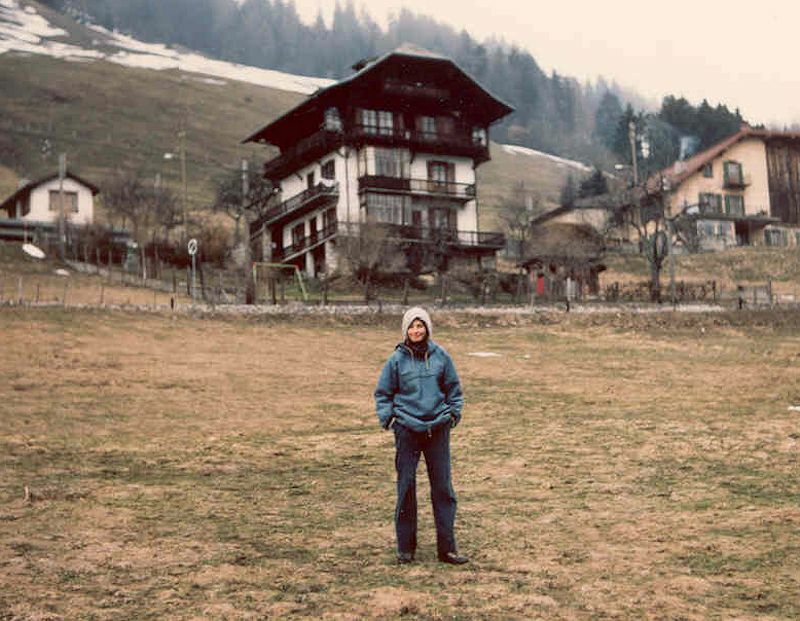 So naturally, they gathered up their belongings and waded out of the hut and back down across the Rawil wall, crossing eleven avalanches along the wall and getting hit by one of them, and surprised the folks at the Iffigenalp hotel by marching up to the front porch at 7 a.m. from precisely the wrong direction. So they traveled by rail back to their home in Les Avants . . . 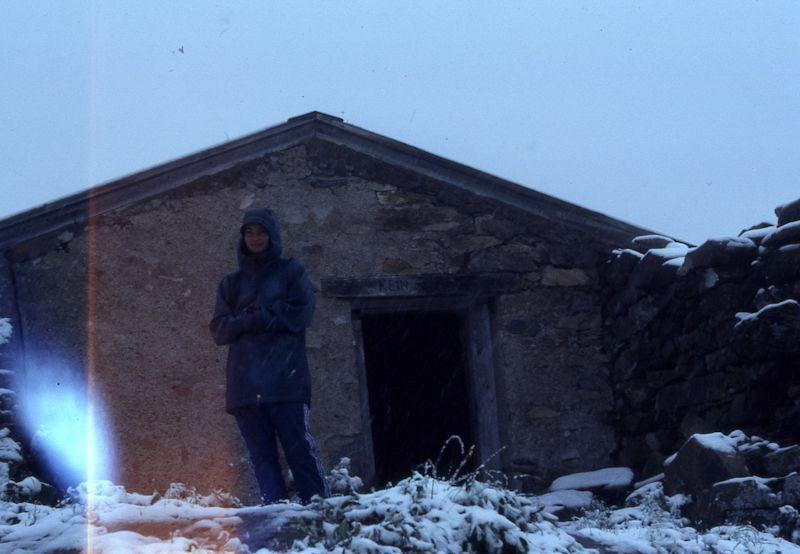 Friend Jane in front of our flat in the chalet Les Sapins (just the top part in the attic, where one of us could only stand fully upright in the central corridor, not in any of the rooms), preparing to go back to the Rawilpass . . . .
. . . planning the next try at it over some beer and chips. 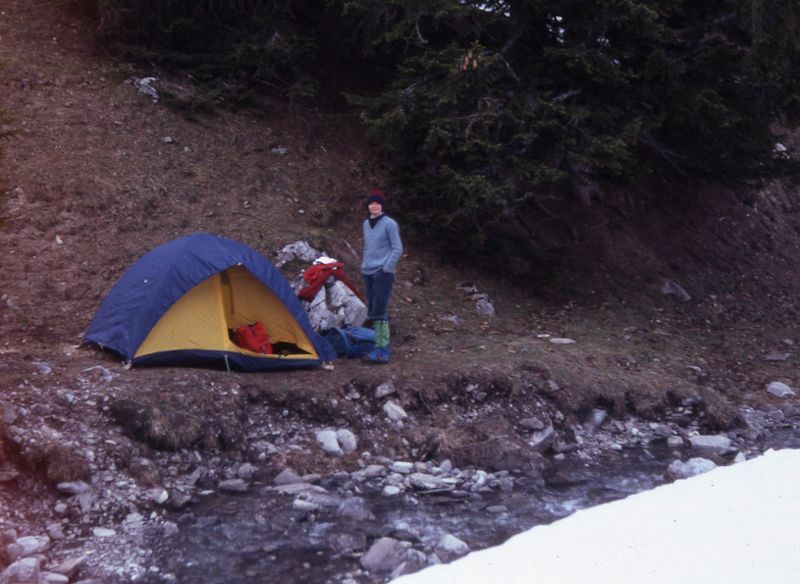 And then, having finished the beer and chips, and all the snow gone at Rawil, the dedicated and tenacious hikers went back on 2 August 1981 and walked up to the pass snowlessly in just a few hours, down on the far side to the Lac de Tseuzier, and a couple of hours over to Crans-Montana. Much much easier without all the snow. 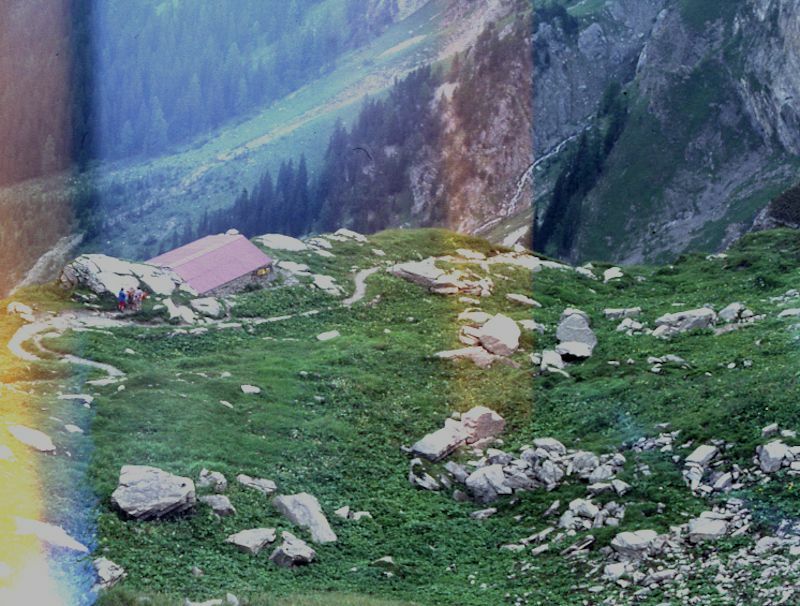 And, as they passed, they paused to take a photo of the Blattihütte at the top of the cliffs, their former abode, now certified snowfree. 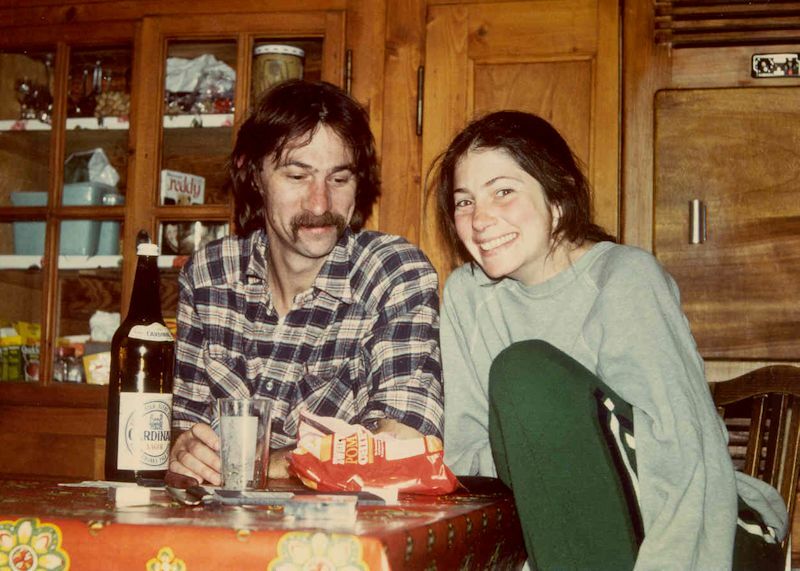 Nearly a decade later, in 1990, Mr Peck returned to the area to try to climb up the Wildhorn on cross-country skis in two days. And succeeded, in fact, though it took him longer to get down than to go up it. The Rawil wall in 2005. Mr Peck did several runs over the Rawilpass in the late 1980s and has recently been back to Iffigenalp for some fine promenades around the Iffigensee and Wildhornhütte, July 2004, and again in August 2005 to relive the Rawilpass experience. Feedback and suggestions are welcome if positive, resented if negative, . All rights reserved, all wrongs avenged. Posted 8 June 2002, revised 19 January 2007, 27 August 2014.